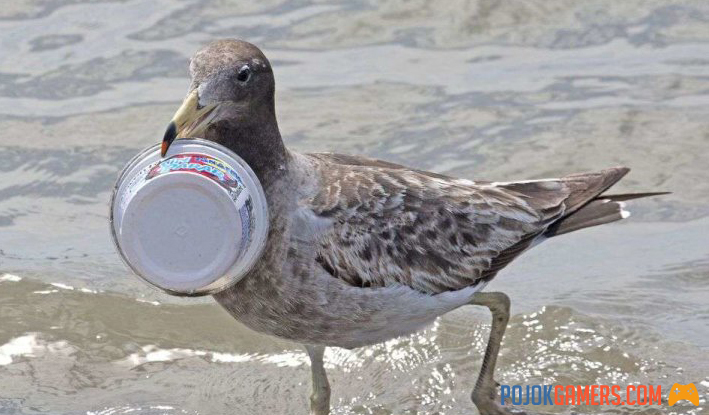  Home  News  Why do seabirds continue to eat plastic that kills them? Lucy Quinn of the British Antarctic Survey showed the remains of albatross chicks on the BBC TV show The Blue Planet last year. He said that marine animals like to eat squid and fish. However, the University of Aberdeen's doctor explained that albatross birds also eat plastic, which can be fatal. Things as small as plastic toothpicks, according to Quinn, can kill the animal. In the video account uploaded to the British Antarctic Survey, Quinn explained that albatross birds eat plastic because adult albatrosses bring it to them. "Adult Albatrosses go out to sea and sometimes take plastic and other floating objects, then go home and give to their children, albatross children also consume plastic before they become adults," he said. -he declares. According to Chris Wilcox and Britta Denise Hardesty of the Commenwealth Scientific and Industrial Research Organization (CSIRO) and the University College of Erik Van Sebille's Emperial College on Oceanography and Climate Change, 80 out of 135, or nearly 60% of seabirds, swallowed plastic from documents published from 1962 to 2012. If the data are normalized according to time and species that were not studied in 2015, the figure has increased to 90%. They said that the number of seabirds with plastic belly was less than 5% in 1960. In 2010, this number rose to 80%. Wilcox, Hardesty and van Sebille explained that members of their research team had found 200 plastic scraps in the body of a sea bird. The three then predict that 99% of seabirds will eat plastic in 2050 if problem is not solved. Seabirds are the name of bird species whose life depends mainly on the ocean. The Guardian reports that there are 350 species of seabirds in the world. One of the animals included in this group of animals is the Albatross. In addition, petrels and penguins storms are also called seabirds. Seabirds like to eat other biota such as krill, squid and small fish called forage fish. Krill is a small crustacean that usually feeds on seaweed. Because a large amount of plastic is currently floating in the sea, they often eat waste from human activities. Researchers believe that the shape similar to that of the animals they usually eat is the reason why seabirds continue to consume plastic. However, research conducted by Matthew Sacova S. Savoca and colleagues at the University of California mentions that seabirds eat plastic because its smell is similar to the food they normally eat. Sacova et al. He stated that albatrosses, shearwaters and petrels are probably the animals most affected by plastic pollution. In fact, animals called tube noses or tubenoses use smell when they find prey. Based on research entitled "Marine plastic debris emits keystone infochemistry for olfactory fodder seabirds" (2016), Savoca, et al. Explained that plastic is the place of growth of algae, the organism that is Krill's main food. Krill, on the other hand, is a favorite of seabirds. When algae are naturally damaged in the sea, they emit a smell of dimethyl sulphide sulphide (DMS) which is then interpreted as a sign of the existence of the sea bird, krill. However, instead of eating the biota, they actually eat plastic. At National Geographic, Savoca said the DMS applied as a food bell. "When people hear ringing, we know that food is around certain areas, it's the same idea, and as soon as the bird's nose tells them it's the place to find krill, the Foraging mode will be activated and they will fly. " down for that, "he explained.